When you don't have the software of app you need (usually because it's too expensive), you can turn to AlternativeTo.net for suggestions. Just type into the search bar whatever app, software program, or service you need, and AlternativeTo will offer suggestions for alternatives. This site uses community feedback to rank the applications that are suggested, and you can read reviews of the suggestions, too. 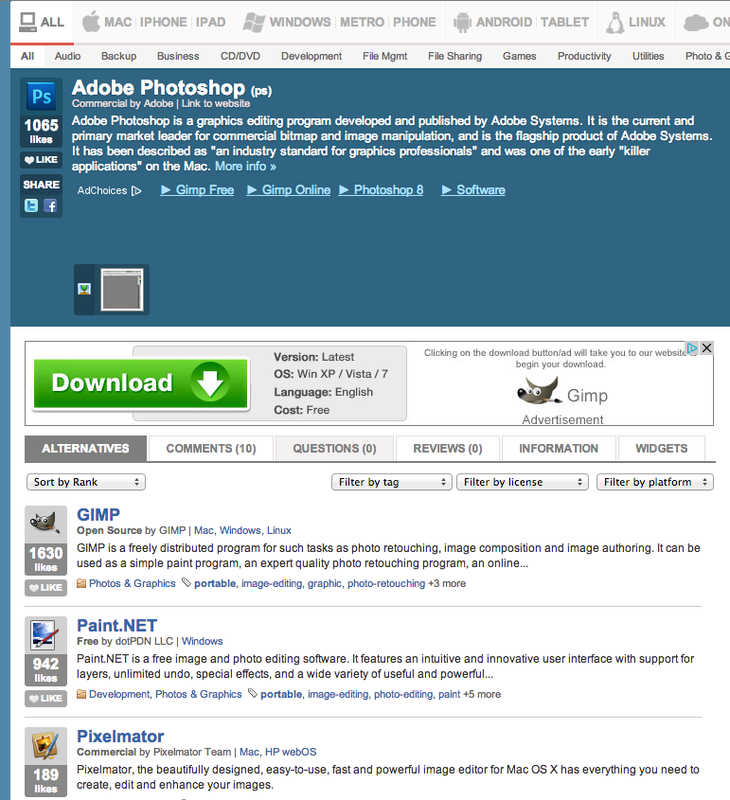 In the image below, you can see I've asked for alternatives to Adobe Photoshop. The list of suggestions was quite long, but you can see the top three: GIMP, Paint.net, and Pixelmator. AlternativeTo is a great resource for finding new apps, services, and the like, or just browsing for useful tools.